UMMC Ekaterinburg retained the Euroleague Women title with a 91-67 win over Dynamo Kursk. 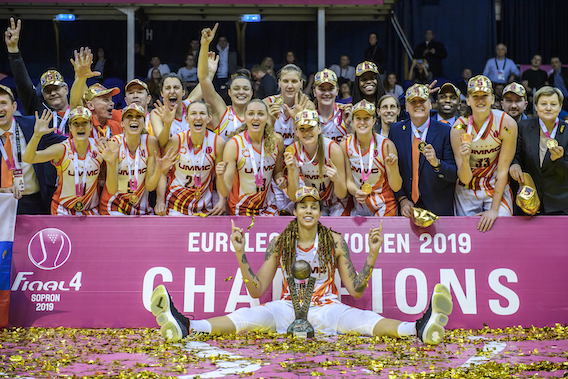 In an all-Russian final in Sopron, the champions were led by 18 points and 8 rebounds from Courtney Vandersloot and a MVP performance from Brittney Griner who added 16 points, 10 boards and 4 blocks. 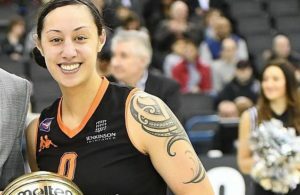 The victory was overshadowed by an injury to Kursk’s Breanna Stewart with the WNBA MVP potentially missing next season after a suspected Achilles tear sustained late in the second quarter after scoring a team-best 12 points. But the result also confirmed Alba Torrens as the first Spanish player to win EuroLeague Women for a fifth time. 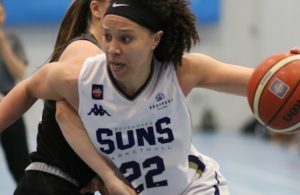 She also won with Perfumerias Avenida (2011) and Galatasaray (2014) – as well as twice previously with UMMC in 2016 and 2018. 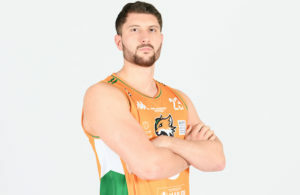 Earlier in the evening, ZVVZ USK Praha took third place with a 64-53 triumph against host club Sopron.